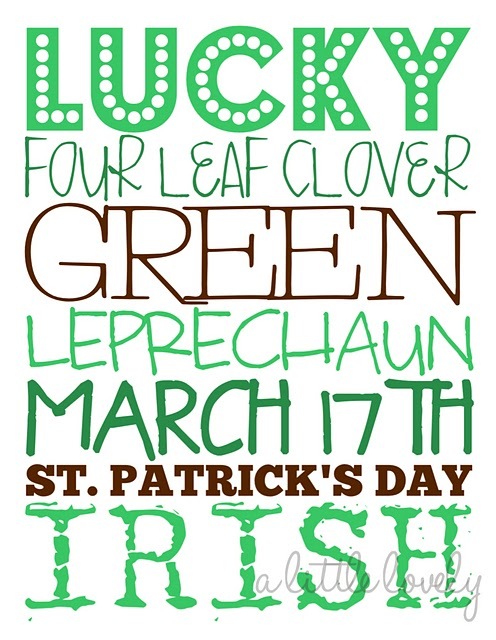 St. Patty's Day is just around the corner, so here's a few of my favorite digital/printable finds from recent web excursions. Beautiful patterns! 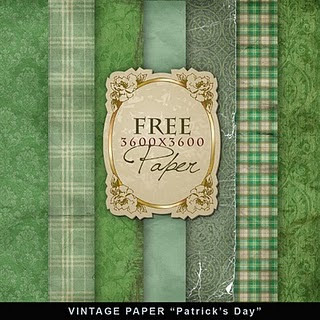 Great for digital scrapbooking, printing off to use as backgrounds or creating custom embellishments. These may be created to decorate cupcakes, but I always think these kinds of toppers also make GREAT embellishments. Subway art is all the rage...these things are popping up all over the place! 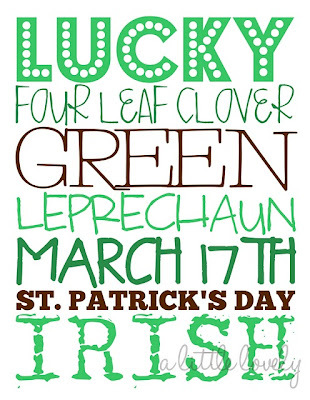 Intended as cute little cards or tags...but could be a cute embellishment as is or trimmed down a bit. 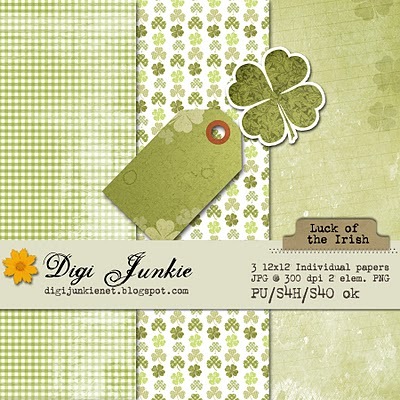 Another great digi kit...I just LOVE the patterned shamrock!